For children, the sudden loss of a precious pet can inspire difficult questions about life and death. How can we reassure mourning youngsters that our dearly departed pets have found everlasting peace? 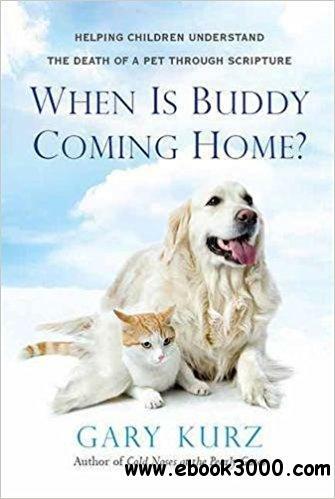 Gary Kurz, acclaimed author of Cold Noses at the Pearly Gates and Wagging Tails in Heaven, provides thoughtful guidance on soothing a child's heartbreak after the passing of a beloved four-legged friend-affirming that through their unconditional love, every one of them has a unique place in heaven. Sensitive and insightful, When Is Buddy Coming Home? reveals the power of faith in the wake of grief, uplifting animal lovers of all ages with the comfort that separation from our loved ones-including those with paws, tails, and wings-is only temporary. "Wonderful, inspiring and comforting." -Mary Buddemeyer-Porter, author of Will I See Fido in Heaven?